Watching TV the other night, I was struck once again by the number of companies urging me to have a perfect Christmas. Every year we are bombarded. Get the perfect gift. Make your house perfectly clean. Get the perfect lights, the perfect tree, the perfect tinsel. Cook the perfect turkey. Set the perfect table. Have the perfect family. BE PERFECT. 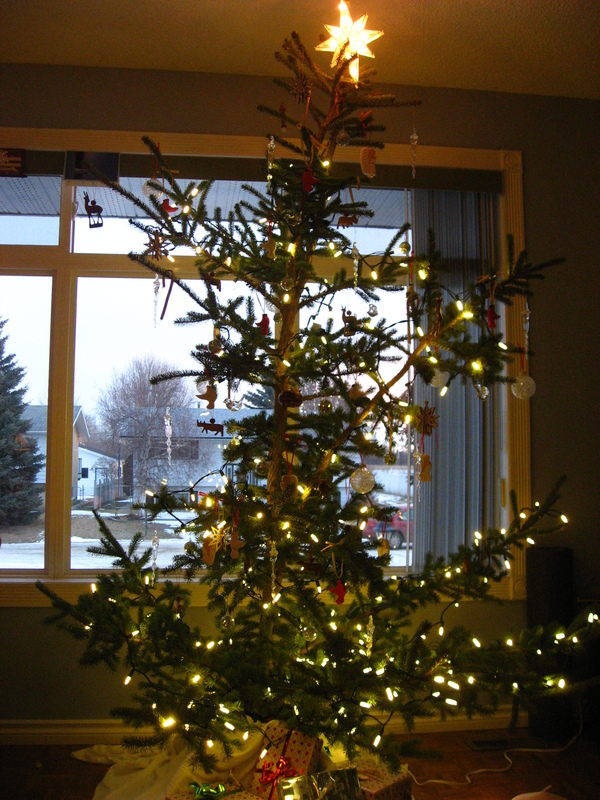 This Christmas, you have permission to grab a crappy tree from the bush because that’s all you have time to find. Or to grab the first tree leaning outside your local grocery store, without looking for the BEST one. Put some home-made kids’ ornaments on it and call it a day. Make some hot chocolate and sit and admire the imperfection together. This Christmas, you have permission to leave the dirt and dog hair on your floor for another day. Go out for a moonlit ski or snowshoe instead. There’s dog hair and dirt out there, but nobody seems to mind. Why should your house be any different? This Christmas, your kids are allowed to yell and be crazy and get dirty. Because kids are kids. Run around with them for a bit. Push them down a hill. Instead of cleaning your bathroom, make a few snow angels and some snow polar-bears OR a snow polar-angel-bear! Instead of washing your dishes, make two forts and pelt each other with snowballs. Let the kids stay up late. Let them help. When people look at you with raised eyebrows because your kids are over-tired and a little ill-behaved and your house is a mess, just tell them it’s my fault. Pick ONE thing to do in a day and throw away that list of “perfect family Christmas memories.” Don’t look at Pinterest. This Christmas, you have permission to NOT make three million cookies. Just a tub or two will do. Unless you like making cookies. Then make five million and give some to the neighbours. This Christmas, your table can be decorated with a few candles and some branches from the yard. Or not at all. And your turkey does not have to be perfectly browned and moist. Just don’t’ give anyone salmonella poisoning. Maybe have a wiener roast instead. Let people help you in the kitchen. Accept all offers to wash dishes. Let people bring food. Spend more time visiting and less time slaving. Cook with wine so you can have a glass. Sometimes soup from a can or pasta from a box is the only way to go. You can drink wine with that. This Christmas, you do not have to exude “Christmas Spirit.” What on earth IS that, anyway? Instead, pay attention to the Spirit. Notice the moments in which the kingdom of God breaks in – they will be small. The joy of a child going off-script during a Christmas play. A single line from a well-worn Christmas carol that suddenly sounds new, and fresh, and scary-in-a-good-way. 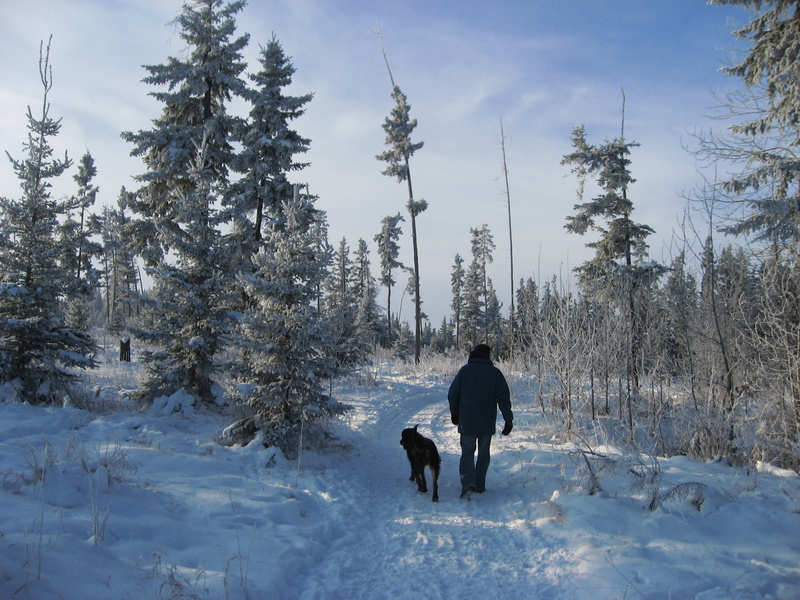 The sight of your breath rising in front of you as you tromp through snow-covered fields with your dog. The shouts of children as they play outside, their snow-suit-shrouded forms ungainly, and their mittens-on-strings flopping at their sides. 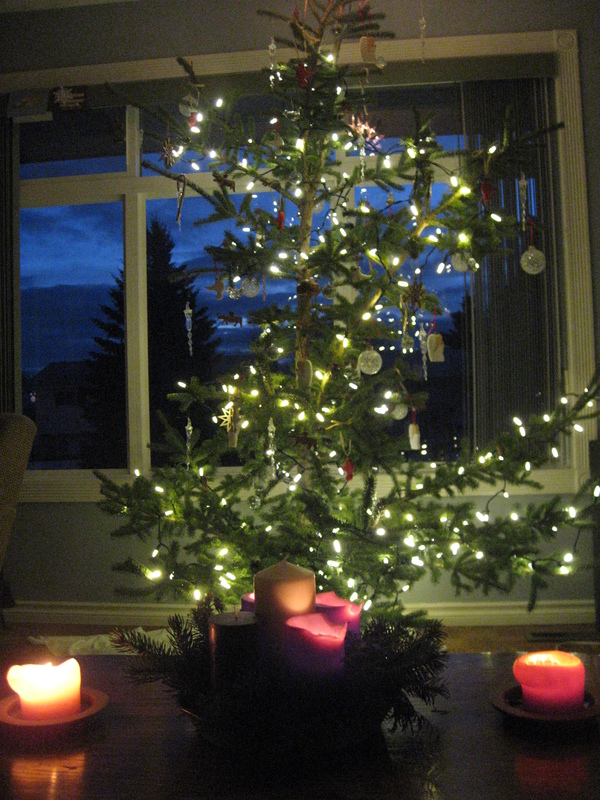 A quiet moment to yourself, re-reading the story of Christ’s incarnation by candle-light, tree-light – opening yourself again to the hush of amazement. And, if you are a worship leader, you have permission NOT to plan the perfect Christmas service, or the perfect Christmas program, or the perfect Christmas banquet. Give jobs to children. Let them screw those jobs up. Allow a few sour chords to make the rest sound sweeter. Practice, but not extensively. Keep it simple. Just tell the story. But tell it in a way that reveals its imperfections. Tell people about the poop in the stable. Tell people about the smells and the sounds. Tell people that Mary was young, and that her pregnancy made her look disreputable. Tell people that Joseph wanted to abandon her. Tell people again that, to God, KING looks different. No gold. No power. No throne. Just a baby in a barn. You see, all the perfection we are supposed to achieve at this time of year – all of that work – takes something from us. It takes away Christmas. That first year there was no perfectly browned turkey, no perfect tree, no beautifully decorated home, no hushed angelic children’s faces gathered around a perfectly lovely crib. There was mess, and noise, and smelliness, and discomfort. Dirt and a fair bit of chaos. A crying baby. That is the standard. So this year – maybe let things slide a little. I’m going to. Have a merry imperfect Christmas! But I guess the question remains, what all is entailed in our celebration of Christmas. Is it Christmas Eve and Day and then, thank-you-very-much-I must-get-to-the-mall-for-those-Boxing-Day-sales, followed by the dread of a not very celebratory New Years and the impending credit card statement that will show me once and for all how ineffectively I managed to ‘show my love’ to family and friends, while still managing to live way outside my means? For me, this is where the idea of Christmastide offers a layered experience of the Christmas story that enables me to stay in the story for a bit longer, perhaps in a similar way to how Advent allowed me to live by a different narrative than the countdown of shopping days til Christmas that the general culture observes. Now, Chittister describes a series of celebrations that is still more than anything I have yet celebrated, but that gives me hope. There is yet more. Four more in fact: The Feast of the Holy Family, The Feast of Mary the Mother of God. Epiphany, and The Baptism of Jesus. I’m most familiar with the final two – those two dates that are not usually more than a few days apart, when I always feel the time swirling as in a movie montage. Jesus is a babe in arms one day – visited by the Magi, revealing Himself to the WHOLE world, not just a select group. And then suddenly, he’s a grown man, being baptized by His strange cousin John. Whoa. Did I miss something? But as the poem says, it is that “whiff of Lent and Good Friday” that is already in the air. We cannot linger at the manger forever. But what of the first two, perhaps less-known feasts? And we marvel once again that God took such a risk, not only to become a human being, but to become part of a family. Perhaps it is opportunity to see Jesus in our own families? Then, the Feast of Mary the Mother of God. This one is the trickiest for me. And, unfortunately, I don’t find Chittister very helpful. Perhaps one of you have some helpful experience or thoughts regarding what this feast is and why it adds to your celebration of the calendar? But meanwhile, Christmas, when spread across a series of feasts, does take on a layered celebration that staves off both unrealistic expectations of a single twenty-four hour period AND invites us into a richer celebration of the birth of Jesus and all that it means for us and for the whole world. How did you celebrate Christmastide this year? A few years ago my father, in an attempt to bring Christmas alive for his grandkids, created a nativity scene in our barn. There had been an unseasonable birth – a few Christmas lambs. We started at the house, bundled up against sub-zero temperatures, following the star (a flashlight attached to a long pole) as we sang “We Three Kings.” Arriving at the stable, we peeked through the door to find my sister-in-law cradling her baby, a lamb at her feet. A ewe and her lamb and one or two of our tamer cattle rustled in stalls nearby as we sang “Away in a Manger” and “Silent Night.” It was a holy moment. What I remember most clearly, is the frail light of the flashlight illuminating our path and the faint glow from the stable window spilling out across the snow. I was struck, as I read these two chapters of Chittister, by her description of the ancient hope for light: “light is more elusive than we like to remember. When the ancients observed the winter solstice, it was with thousands of years of fear that once gone, the light might not come back. It might not, this time, return to warm the earth or grow the seeds or prod the harvests upon which they depended for life” (p. 86). Today we are cut off from that fear. Our scientific knowledge assures us that the earth will tilt back toward the sun as it orbits, and that the days will get longer: that spring will inexorably follow winter; that summer will follow spring. But imagine. Imagine the days getting shorter and shorter. Imagine watching the plants around you stop producing as the light fades. Imagine struggling to find feed for your livestock. Imagine watching your food supply dwindle. Now imagine the first day you realize the day is a little longer. The first day you realize that the hold darkness seemed to have on the earth has been loosened by the tiniest sliver of light. That is the celebration of Christmas. Our lives depend on it – on that tiniest sliver of light that we call the Bright Morning Star. The star that appears when night is at its darkest. The star that heralds the dawn. I am amazed by the death and resurrection. It brings me to my knees. But I am left with my mouth gaping and my legs shaking at the thought that God – God almighty, all-powerful, all-knowing – considered it within his character to step down into the goodness of his creation, and into the darkness we made of it. The feast of Christmas is not just a merry time to celebrate with friends and family. It is a realization of light. “Christmas is not meant to leave us with nothing more than a child’s perception of what it means to see a baby in a manger scene. It is meant to take us to the level of spiritual maturity where we are capable of seeing in a manger the meaning of an empty tomb. It is meant to enable us to see through the dark days of life to the stars beyond them” (p.88). It is the frail light of a star, the faint glow from a stable window, that shatters the darkness that surrounds us: then, now, each year, and forever.